Come February and the party seasons of December and January wear off but the effects of the same remain. Hence you need to detox and regain the equilibrium and zing back in your life. February is the month when you can really energize yourself by including nourishing and detoxifying fruits and vegetables in your diet. Detoxification is process of making body clean and free from harmful bacteria. You can start your day with warm water and some functional foods like dry ginger powder or cinnamon powder or aniseed water or coriander water or jeera water depending on type of your body. Coconut oil pulling is another way to detox. “First thing in the morning, take a spoonful of coconut oil and swish it in your mouth for good 15 to 20 minutes. Doing this prevents the bacteria and toxins that have gathered in the mouth overnight, from entering the body. Once done, spit the oil. Do this every morning before brushing your teeth or even drinking water,” says Arpita Das, Managing Director, BeaunessByArpita, a Gurugram based beauty with wellness service. If that is hard, Shalini Garwin Bliss, Executive Dietitian, Columbia Asia Hospital, Gurgaon says. “the first thing in morning just have warm water with honey and lemon juice. Lemon is a good source of vitamin c and B- complex vitamins. 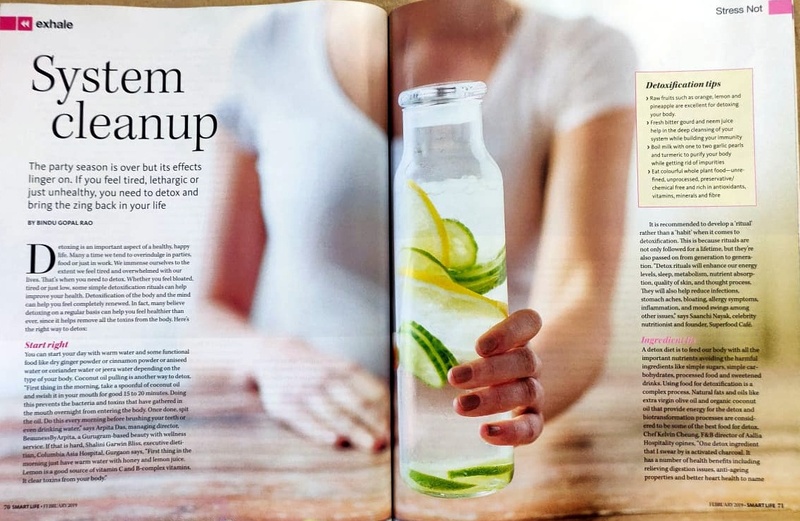 Its clear toxics from your body and act as a good detox drink.” It is recommended to develop a ‘ritual’ rather than a ‘habit’ when it comes to detoxification. This is because rituals are not only followed for a lifetime, but they’re also passed on from generation to generation. “Detox rituals will enhance our energy levels, sleep, metabolism, nutrient absorption, quality of skin, and thought process. They will also help reduce infections, stomach aches, bloating, allergy symptoms, inflammation, and mood swings among other issues,” says Saanchi Nayak, Founder – Superfood Café and celebrity nutritionist. 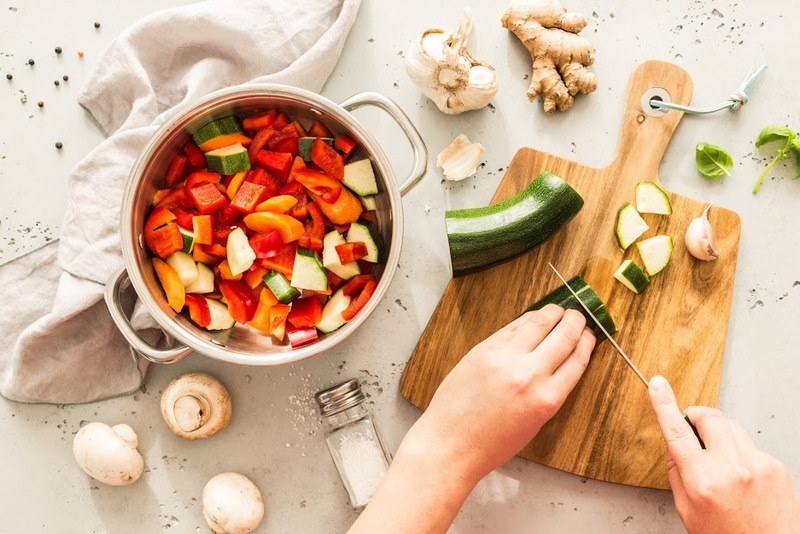 A detox diet is to feed our body with all the important nutrients avoiding the harmful ingredients like simple sugars, simple carbohydrates, processed foods and sweetened drinks. Using food for detoxification is a complex process. Natural fats and oils like extra virgin olive oil and organic coconut oil that provide energy for the detox and biotransformation processes are considered to be one of the best foods for detox. Chef Kelvin Cheung, F&B director of Aallia Hospitality opines, “one detox ingredient that I swear by is Activated Charcoal. It has a number of health benefits relieving digestion issues, anti-ageing properties and better heart health to name a few. Charcoal has several benefits like whitening of teeth, purifying properties for the skin and beneficial in improving your gut health.” Eat fresh or at least unprocessed food and keep them organic as far as possible. “Grapefruit has some powerful fat-zapping phytochemicals that can help you lose some weight in your belly when taken continuously for six weeks. However, it interferes with certain medications and inhibits absorption of some nutrients, so consult a qualified professional before starting this,” says Muthulakshmi G., Senior “Tweak & Eat” Nutritionist, PurpleTeal Inc. 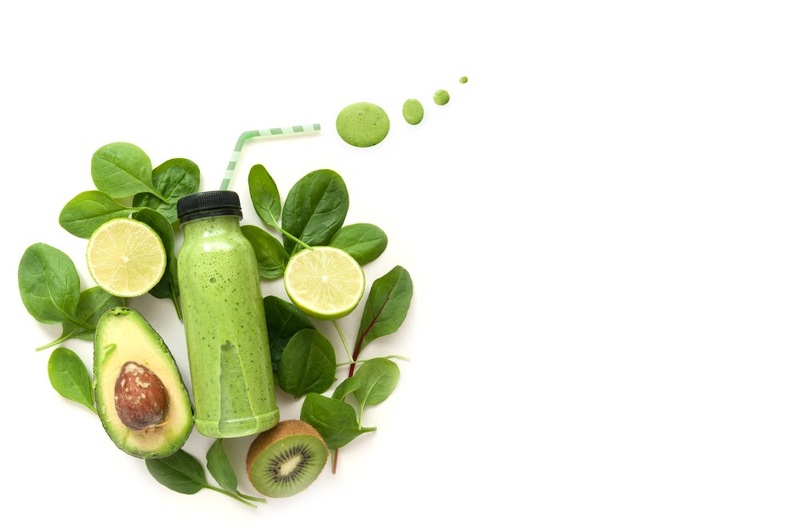 Whole (unrefined) Plant Foods in particular provide vitamins, minerals, natural fibre, antioxidants and quality fat that keep the gut, tissues and cells healthy, as well as helps the whole body detoxify through some very intricate enzymatic pathways. 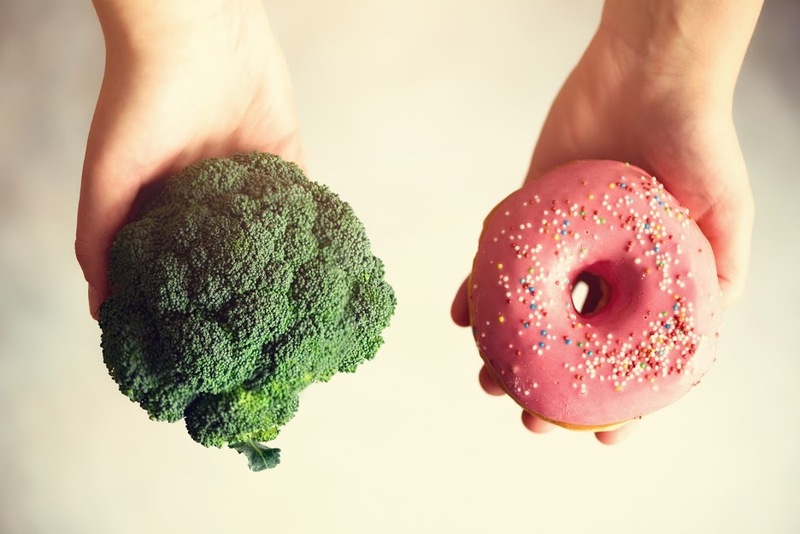 “Cruciferous vegetables like cabbage, broccoli, arugula are a great addition to the diet, especially because they glucosinolates – sulfur-containing compounds that are converted into active chemicals called isothiocyanates and indoles. These also help removing cancer causing toxins from the body. Cruciferous vegetables also helps maintain hormonal balance and are low in calories for the nutrition, fibre and satiety they offer,” says Manasa Rajan – Health and Wellness Coach at eat.fit. 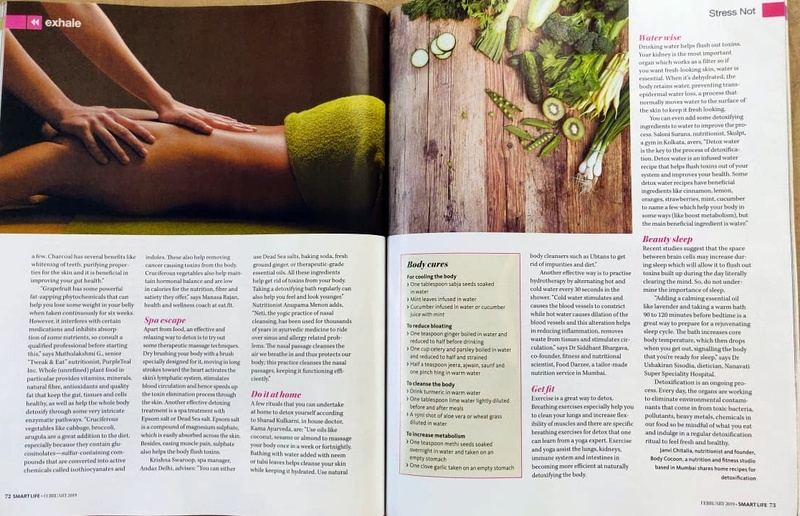 A few rituals that you can undertake at home to detox yourself according to Sharad Kulkarni, Kama Ayurveda, “use oils like coconut, sesame or almond to massage your body once in a week or fortnightly. Bathing with water added with Neem, Tulsi leaves helps cleanse your skin while keeping it hydrated. Use natural body cleansers such as Ubtans to get rid of impurities and dirt.” Another aspect is to practice hydrotherapy by alternating hot and cold water in every 30 seconds in the shower. “Cold water stimulates and causes the blood vessels to constrict while hot water causes dilation of the blood vessels and this alteration helps in reducing inflammation, removes waste from tissues and stimulates circulation,” says Dr. Siddhant Bhargava, Co-Founder, Fitness & Nutritional Scientist, Food Darzee, a tailor made nutrition service, Mumbai. Exercise especially breathing helps you to clean your lungs helps to flexibility of muscles and with regular practice breathing exercises can help you to exert yourself less during daily activities. They can also potentially help you in your return to exercising, leading to you feeling more energetic overall. Exercise assists the lungs, kidneys, immune system and intestines in becoming more efficient at naturally detoxifying the body. It further enhances the body to do what it is meant to do, protect us at all cost. Include morning brisk walk, free weight exercise or Yoga in your daily routine. Recent studies suggest that the space between brain cells may increase during sleep which will allow it to flush out toxins built up during the day literally clearing the mind. “Add a calming essential oil like lavender Taking a warm bath 90 to 120 minutes before bedtime is a great way to prepare for a rejuvenating sleep cycle increasing core body temperature, which then drops when you get out, signaling the body that you’re ready for sleep,” says Dr. Ushakiran Sisodia, Dietician, Nanavati Super Speciality Hospital. Detoxification is an ongoing process. Every day, the organs are working to eliminate environmental contaminants that come in from toxic bacteria, pollutants, heavy metals, chemicals in our food so be mindful of what you eat for a healthy and happy life. Raw fruits are excellent for detoxing your body such as orange, lemon and pineapple. Fresh Bittergourd & Neem Juice helps deep cleansing your system while building your immunity. Boil milk with 1-2 garlic pearls & turmeric to purify your body while getting rid of impurities. Eat colourful whole plant foods – unrefined, unprocessed, preservative/chemical free and rich in antioxidants, vitamins, minerals and fibre. Do not eat refined sugars, artificial fizzy drinks, candies, heavy foods that are hard to digest (creamy/buttery gravies/sauces, meat etc).